The rise of all these dating websites is proof that people actually spend money on trying to find love. But it doesn't only stop at dating websites, people actually spend money on self-improvement books, programs related to dating. People also spend money on flowers, jewelry, candy, relationship advice & therapy. These are just a few subniches related to love where people spend money on, the desire to love and to be loved will always be a demand and people are happy to spend money on it. Yes, money! People actually spend money to make money, have you ever heard of the saying it takes money to make money? Well people actually spend their money on gambling, lottery and online casinos. But it doesn't just stop at gambling, educational programs such as webinars, ebooks, books and videos on how to make money. The emotion targeted here is to have freedom and be debt free, this is what motivates a person to spend money to make money. This is a major niche where people spend probably the most money on, due to the fear of death or illness. With numerous profitable subniches such as mental health, weight loss, addiction, natural remedies, self-help and so on... I could go on and on this is probably one of the biggest niche on where people spend the most money. Beauty has its own category for the simple reason that fashion is part of beauty and people love to dress to impress. From plastic surgery to fragrances beauty has a wide variety of niche. Just with the women audience you have about 100 different categories of niche products that you can develop. 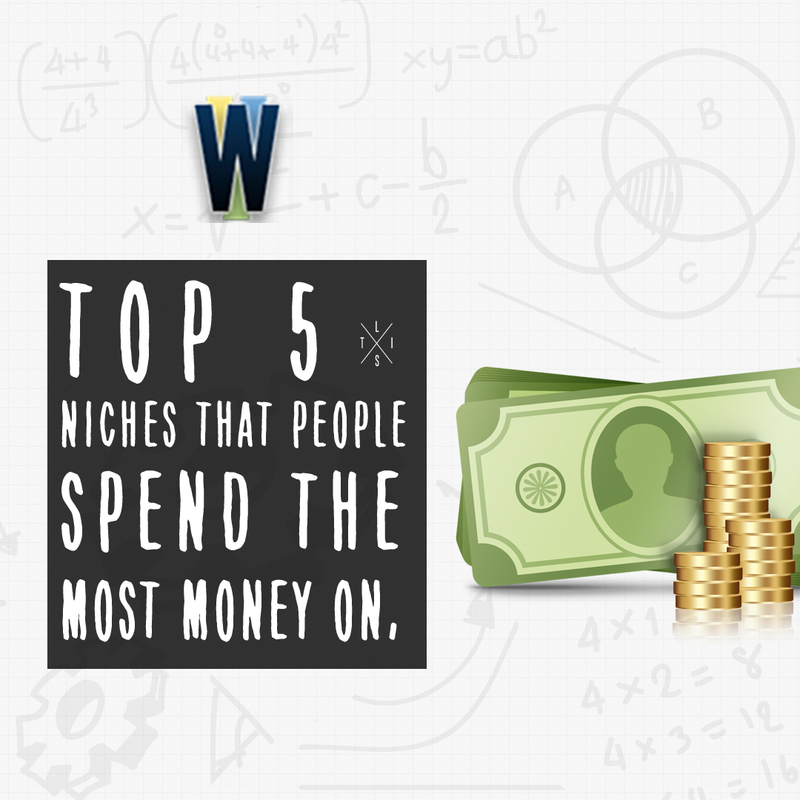 The last niche people spend the most money on is entertainment. It could be going to a movie on the weekend to buying your favorite track on itunes on the way to work. Entertainment is part of our daily lifestyle with long bus or car rides we need to find a way to be entertained. Look at the movie industry how big it is, because people actually spend money on entertainment. People want to dose off of their daily lifestyle so they turn into movies or music. Hopefully this helps you choose what niche you should start your next project on. 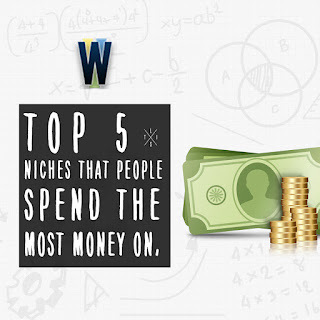 Keep in mind that these are the 5 top categories so look within those categories and find a subniche then create your business around that.